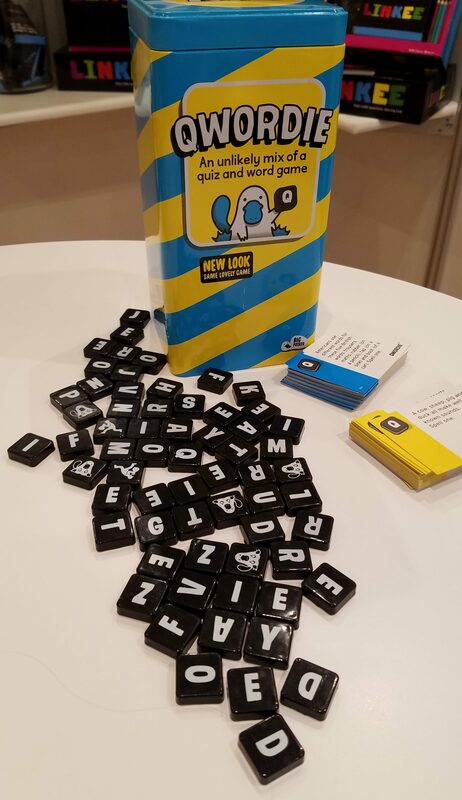 Bananagrams debuted four new games at Toy Fair, all scheduled to be available this summer. 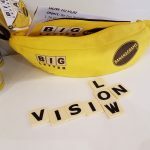 Of these four, three are completely new games unrelated to the Bananagrams line. 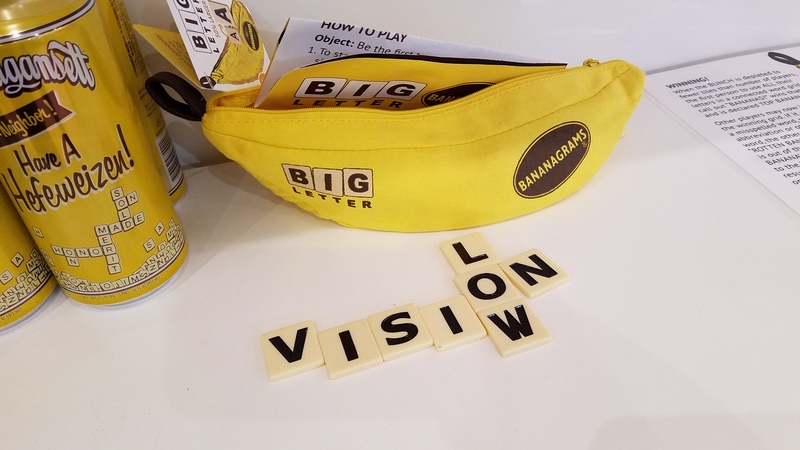 That one other item is Big Letter Bananagrams ($19.99), with tiles that are 50% larger than the ones in their flagship game. 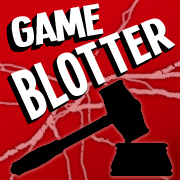 These high-contrast bolded letter tiles are designed to help gameplay for low vision players. 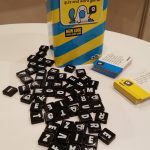 Word-a-Melon ($19.99) combines spelling and memory games. In an oval watermelon-shaped tray, letter circles are placed face down. 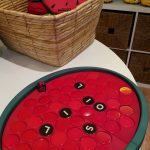 Roll a die, flip over the circles — which has a really neat tactile element as they all flip around in the tray — and try to form words out of the letters you’ve revealed, collecting the letters as points. 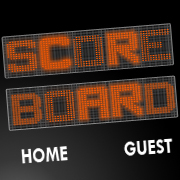 Letters you don’t use or can’t are flipped back over. It’s a cute looking game with the revealed letters looking a bit like seeds in the watermelon. 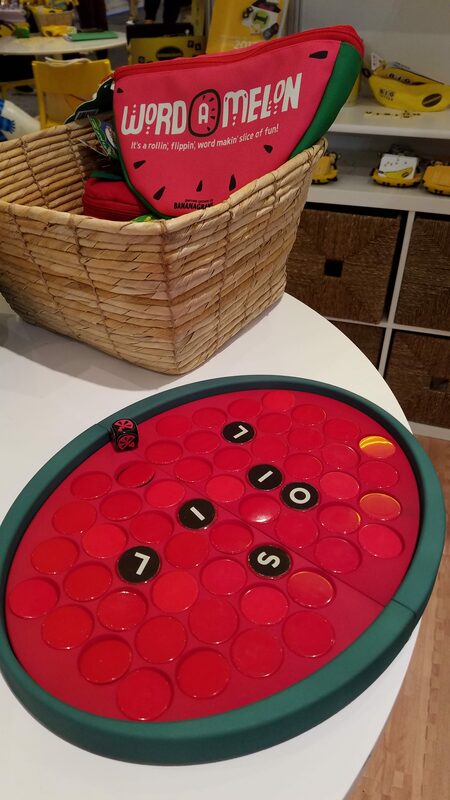 Like the other fruit-themed games offered by the company, Word-a-Melon comes in a cloth bag shaped like the food — in this case, a slice of watermelon. 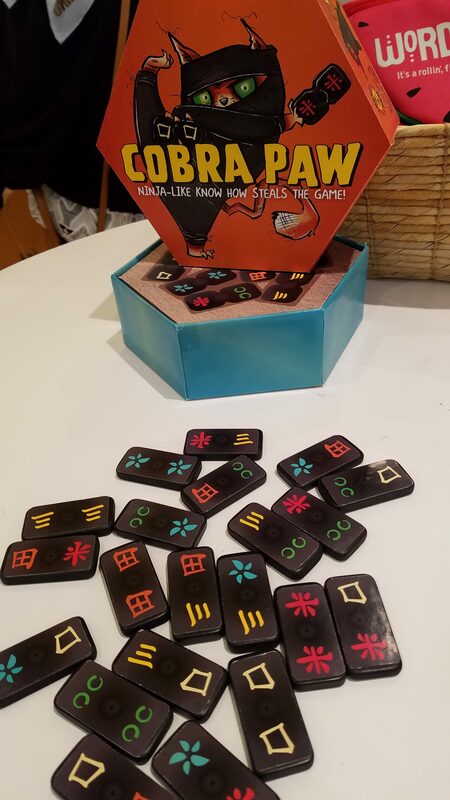 The one non-letter-tile-based game debuting was Cobra Paw ($14.99). 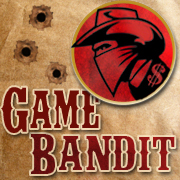 This game is simply a set of double-six dominoes with symbols instead of pips, plus two dice with those symbols. Roll the dice, try to grab the domino with those symbols first. 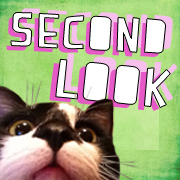 There’s also a Kung Fu cat on the cover. 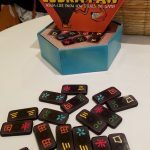 My recommendation: if you like dominoes, get Cobra Paw because it’s a pretty cool set of dominoes, plus it comes with some interesting dice and rules for a tile-grabbing game.